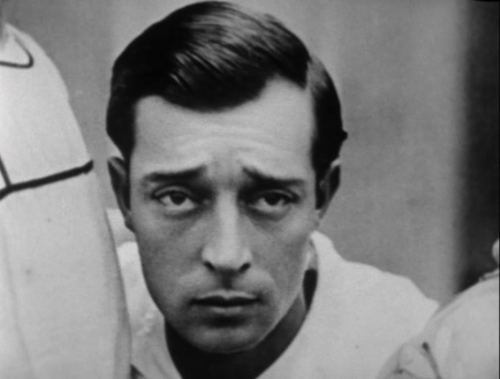 Le Roi des Champs-Elysees is so palpably better in every way than anything else Buster Keaton was making at the time, it is a shame it is not better known. This is certainly his best film since Spite Marriage, and maybe better, because while Spite Marriage may have more of the Keaton physical skill and stunts, this one has more of the Keaton heart and soul. It is a sweeter and smarter movie that feels worthy of him for the first time in a while. Unfortunately it is all but unknown to those outside the die-hard fandom, because its a French film that saw limited contemporary release (it was not released in the USA) and, to my knowledge, has not been subtitled in English or yet released on dvd. That really is too bad, because its quite a good film. The production is solid, the acting consistently fine, and the story funny and well-suited to Keaton's skill. I watched on Youtube and am very grateful that it was available at all, so I'm not complaining, but the version I saw was in French (with Buster's part dubbed by a not-very-convincing French actor). There were thankfully, subtitles. But these were in Spanish! haha. Which I sadly don't speak -- though I don't speak it less poorly than I don't speak French, so I paid attention to the Spanish subtitles and kept Google translate open at the bottom of the screen to translate Spanish to English as much as I needed/could stand to do. This turned out to be a tedious, but ultimately very cool, adventure! Now that I basically know what's going on, I'll have to watch it again without the constant pausing. I bet it will even better. Watching in this way, there are certain plot points that I never really got -- but with or without full understanding of the plot intricacies, one can enjoy it on other levels. It presents one of Buster's most remarkable performances as an actor that I can think of. He is fabulous in a dual performance, playing a down-on-his luck actor and an escaped convict. In the first role, Buster mistakenly distributes large amounts of cash to the public in a publicity ploy gone wrong. One of the accidental recipients is a lovely young woman with whom he becomes friendly. In the second role, Buster plays a mean, tough-guy criminal boss. He plays them both so well, I forget that they are both Buster. It is so refreshing to see him with that harder tough edge after all these Elmers! It is clear exactly which character he is playing at any time (even though both are dressed alike and look, duh, identical), he emotes so differently when he's the classically bad dude. Its wonderful to see him like that. The part of the film that everyone talks about comes at the end when Buster (in the good guy role) and his flirty new friend share a kiss that brings out Buster's beautiful smile. I've seen a still photo of that moment and have been anxious to see the scene from which it came. The whole embrace is a wonderful moment, far beyond just the smile, with a warm emotive feel that is unusual in a Keaton film. The still shots don't do the scene justice. It is charmant! Thank you for the information. Could you please share the youtube link that you used. This because my search did not succeed. As you said, the actor who dubs Keaton is not convincing at all. I am French and I can tell you he doesn't even sound French! Sort of Google Translate with a foreigner accent. Thank you for your comment! It's good to hear from someone who knows French. I bet it was easier to follow anyway, even if it was poor acting. Thanks so much for posting the link too! I never got around to doing that! I hope that will stay available because I honestly have no idea how else to watch this one. Just watched this one (on youtube) for the first time a few days ago. You're right-- Buster is so convincing as the tough guy. A real pleasure to see. His acting transcends language barriers; I don't speak French or Spanish either but really enjoyed it.